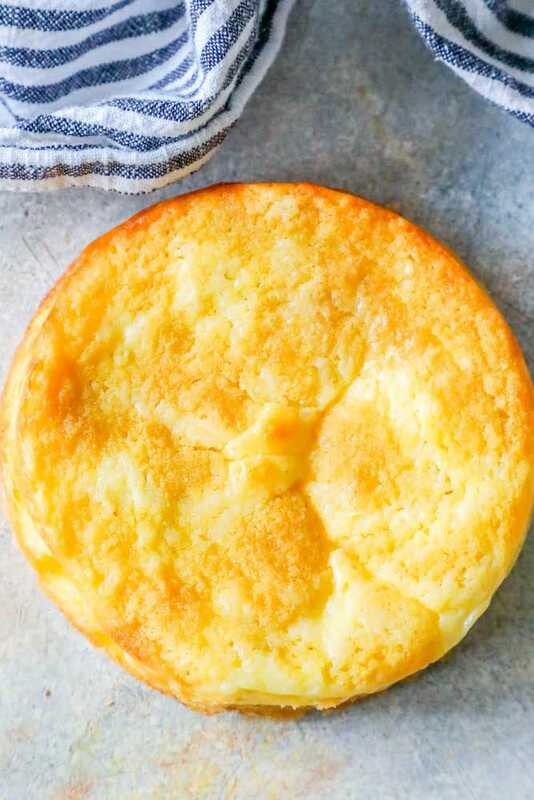 Easy Keto Butter Cake Recipe – a delicious, fluffy, indulgent vanilla butter cake that is naturally low carb and keto diet compliant! A while ago, my husband took up a keto diet – to lose weight, but also to reduce inflammation and help with some chronic pain. He’s done so well on it, I have been slowly working my way into it as well (which is admittedly a bit tough with as much as I travel…) – but it can be hard sometimes to find actually delicious swaps for high-carb foods we love. 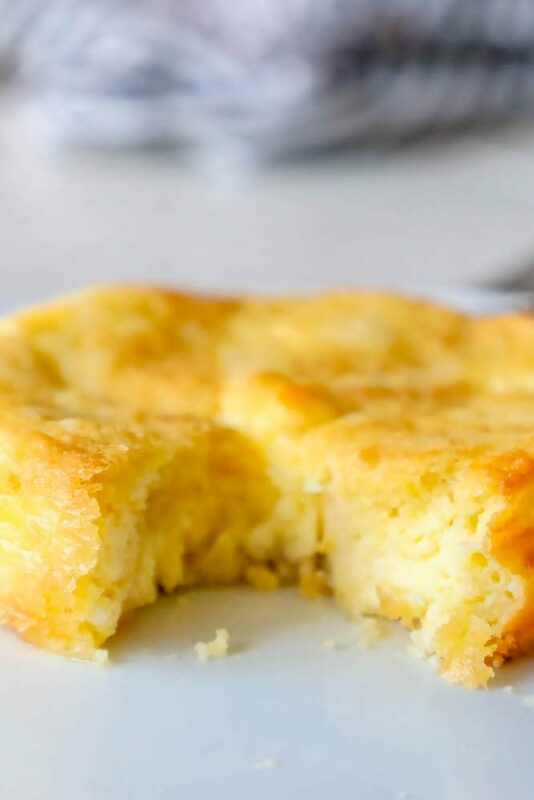 This easy keto butter cake is a simple, delicious, and low carb – you can feel good about indulging in this one! If you’re tired of grainy, weird tasting keto replacement recipes, I get it. This cake is one I actually truly love – and even our kids who eat tons of carbs love. This cake is a perfect keto birthday cake – or even more of a keto coffee cake. There is good lift, with a moist and delicate crumb – similar to a coffee cake. 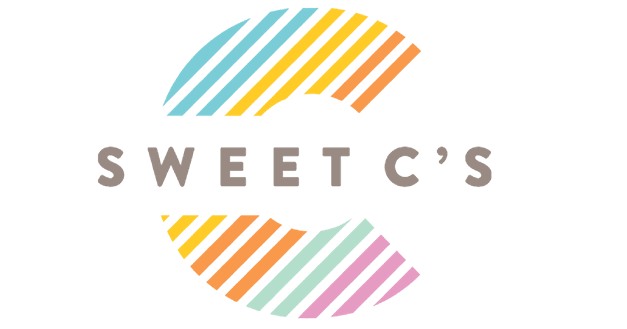 You can add flavorings (watch the carb counts), chocolate, coconut whipped cream – anything you love to make this recipe your own! 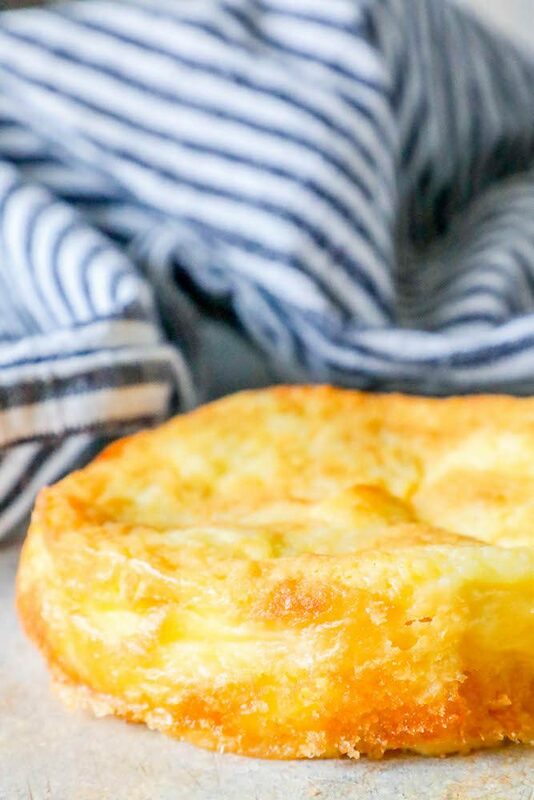 This is one keto cake recipe you’ll want to make again and again – I hope you love it as much as we do. Just Take Me To The Easy Keto Butter Cake Recipe Already! I get lots of comments and questions on my site, so I provide as much information as possible in my posts for my readers. 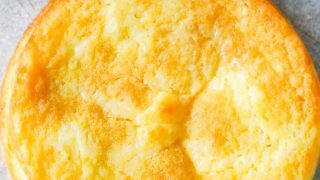 If you’d like to skip straight to the easy keto butter cake recipe, please scroll to the bottom of the post for the printable recipe. -Make sure ingredients are room temperature. Making this cake with room temperature ingredients helps it mix much more easily and evenly – save yourself a lot of trouble, and use room temperature ingredients! -Use a springform pan or parchment paper. This cake is a nightmare to clean up if not prepped well – use a well greased pan, preferably springform (this makes the cake MUCH easier to release and move) when baking. This cake will crumble apart or deflate if you ask too much of it too soon – it needs to rest and chill after baking to set. We like to leave it out, in the springform pans, until cool – when we then will move, slice, stack, or eat the cakes. Since this cake uses keto flour replacements, it is very filling. Almond and coconut flower fill you up much faster than wheat flour – and have many more calories. Add eggs and cream cheese to that, and these cakes definitely eat more like a meal than a dessert! Since we can’t ever get through much of these cakes in one sitting, it is important to store them properly for eating later. I wrap each cake tightly in plastic wrap, and then place them in a ziploc bag to store in the fridge, or the freezer. Cakes in the refrigerator last up to four days – and up to three months in the freezer. To defrost, let the cakes sit in the refrigerator until soft. Microwave or bake the cakes until just warm if desired to reheat. 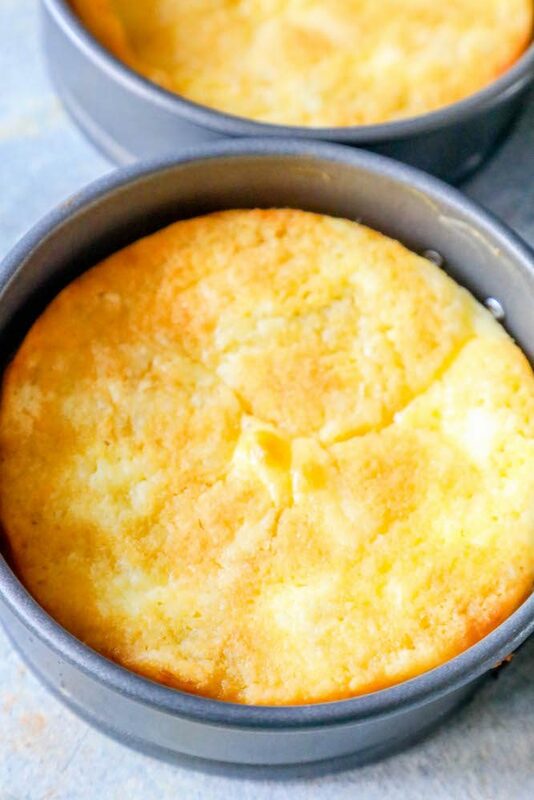 If you love this easy keto butter cake recipe as much as I do, please give it a five star review and help me share on facebook and pinterest! To shop my favorite kitchen essentials, please visit my Amazon storefront here. Easy Keto Butter Cake Recipe - a delicious, fluffy, indulgent vanilla butter cake that is naturally low carb and keto diet compliant! Grease an 8-inch spring form pan (or our preferred way - 3-4 4" pans) with coconut oil spray. Prep pans well - this will prevent sticking. Add the butter, vanilla extract and eggs into a large mixing bowl and combine using a hand mixer or stand mixer. Add the coconut flour, erythritol, baking powder and optionally the gelatin, and combine using a spatula. In a large mixing bowl, cream together the butter and cream cheese using a hand mixer. Add in the vanilla extract, erythritol, stevia and eggs, and combine with the hand mixer until smooth. Form the bottom layer (effectively the cake's "crust") into the bottom of the spring form pan using your hands. Pour the top layer on top of the crust layer and give it a few taps to release the air bubbles. Your cake is ready to cool when you notice the sides are browning. Cool for 15-20 minutes to let cake set before removing from pans or moving around too much. This is the best thing I’ve eaten in a long time! It’s sndolut stunning, my hubby loves it too! It’s too gorgeous, I don’t think it will last long in our house! Would this recipe be okay made into cupcakes?